the rocky coast of Maine! With the rolling waves along the coast, it wasn't hard to see a bird and then lose it behind a wave. Then it's a matter of pointing to something and saying "see that blue buoy, it's right of that" or "left of that raft of eiders" or "just beyond that furthest rock". A good way to hone your "where's that bird" skills! 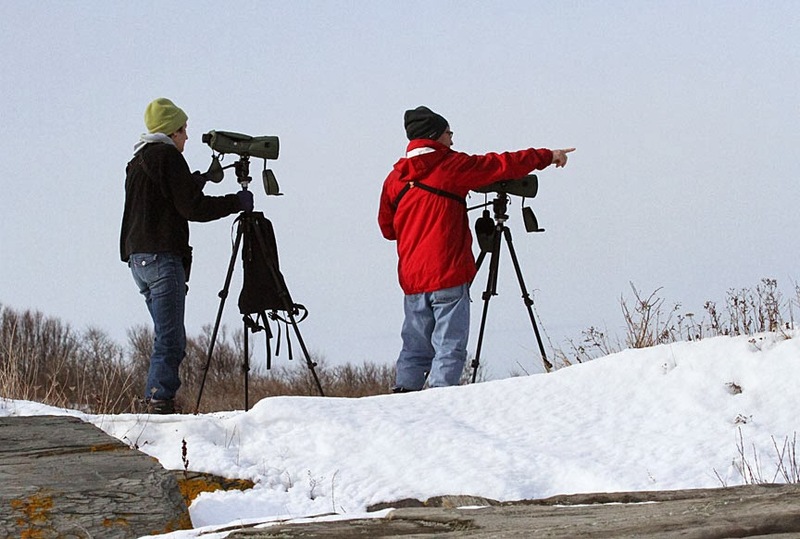 Mill Creek, South Portland is a great place to find gulls! 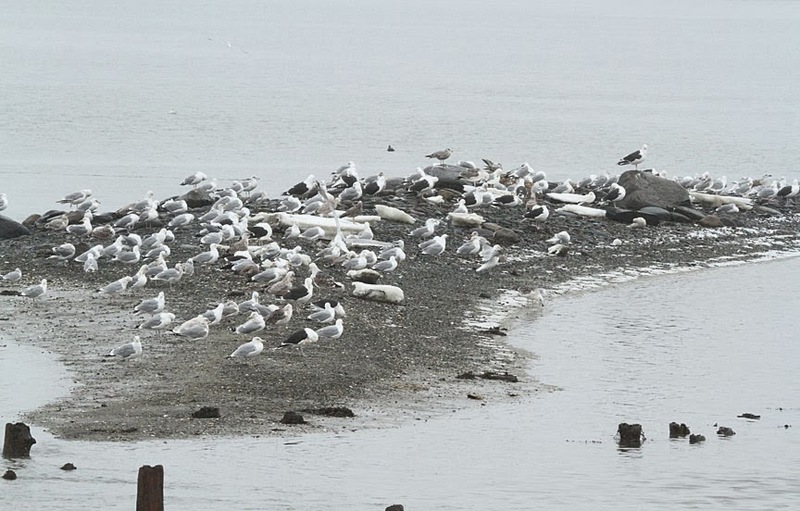 In this picture, there are Herring, Ring-billed, Glaucous, Iceland (Kumlien's) and Great Black-backed gulls. 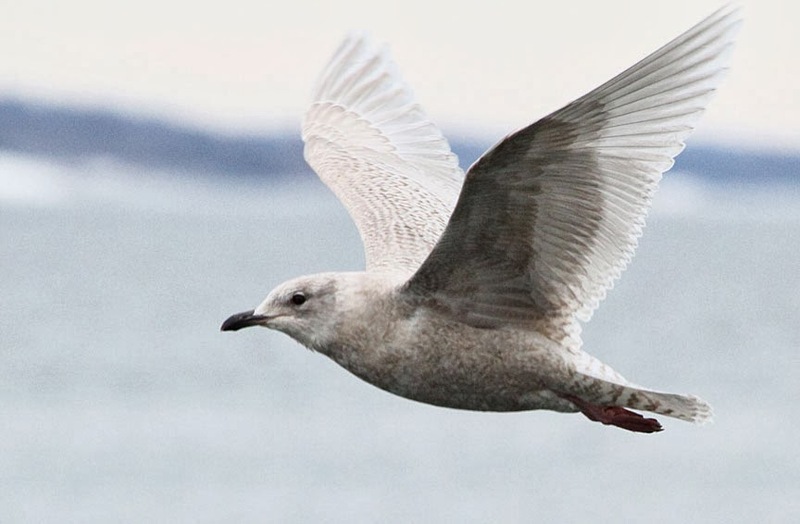 The Iceland Gull or Kumlien's (American race) is one of the "white-winged" gulls we see in the east. 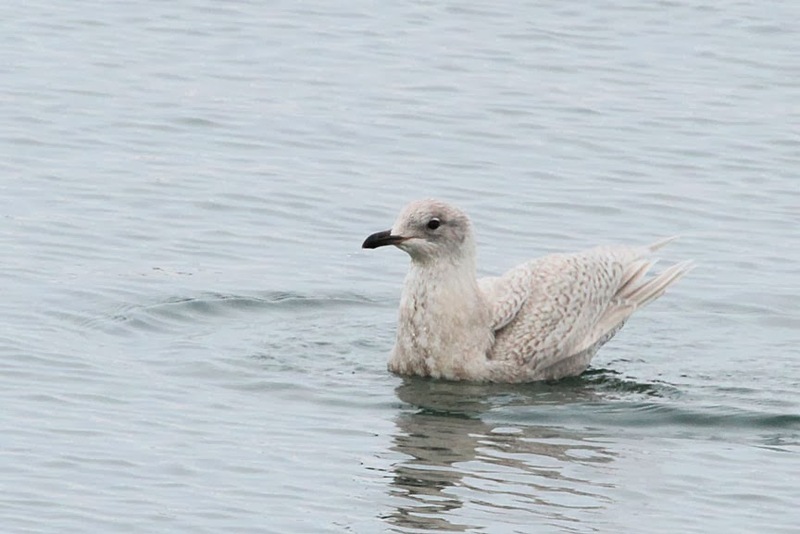 It's bigger than a ring-billed gull but smaller than a herring gull and is said to have a "baby" face. 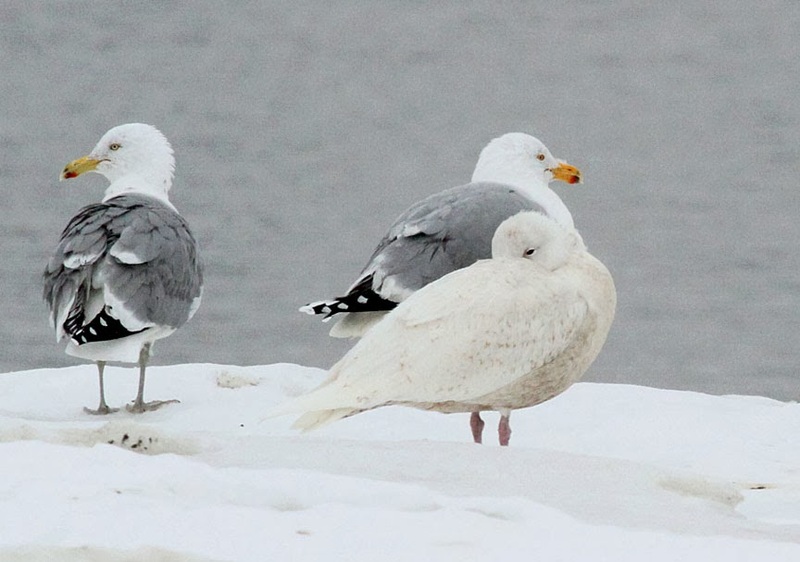 Our other white-winged gull is the Glaucous Gull. It's too bad this one was snoozing, it would have been nice to show the bill compared to the Kumlien's. Glaucous are as big as the largest Herring gulls and rather "stern" looking. 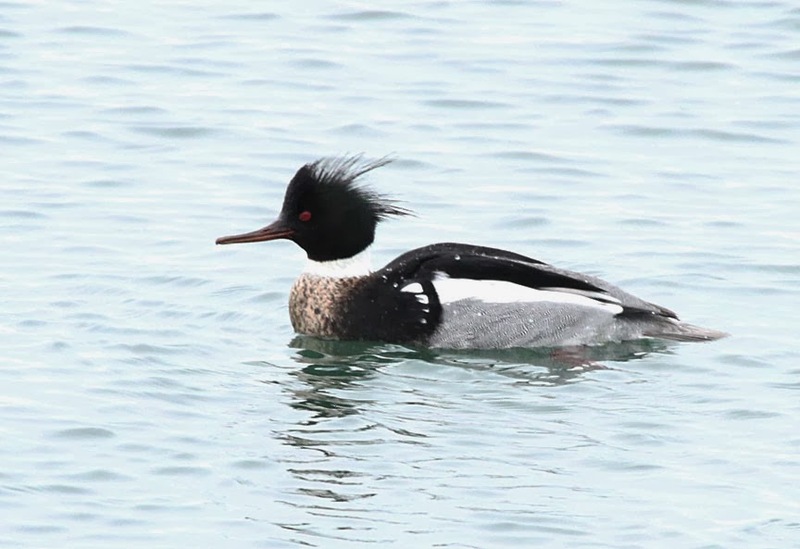 We stopped at Bug Light in South Portland and found a few winter plumage Common Loons. 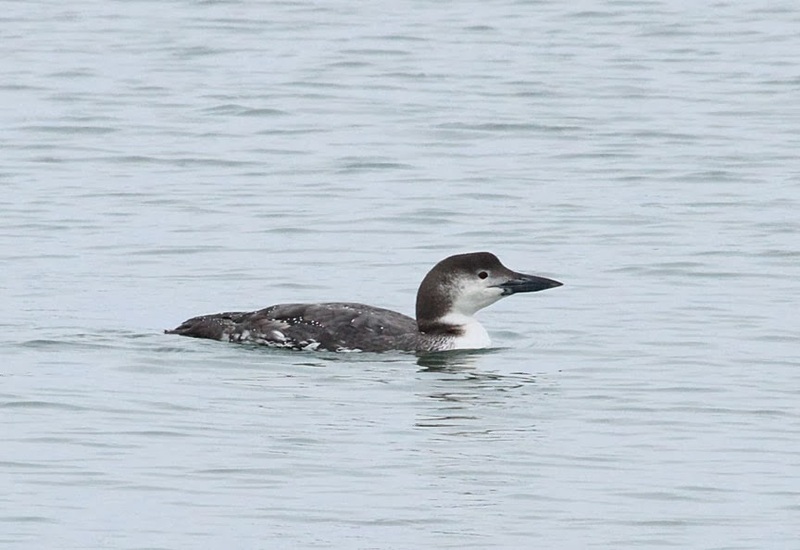 Even though you think of loons as being on a golden pond, in winter they're common along the coast. 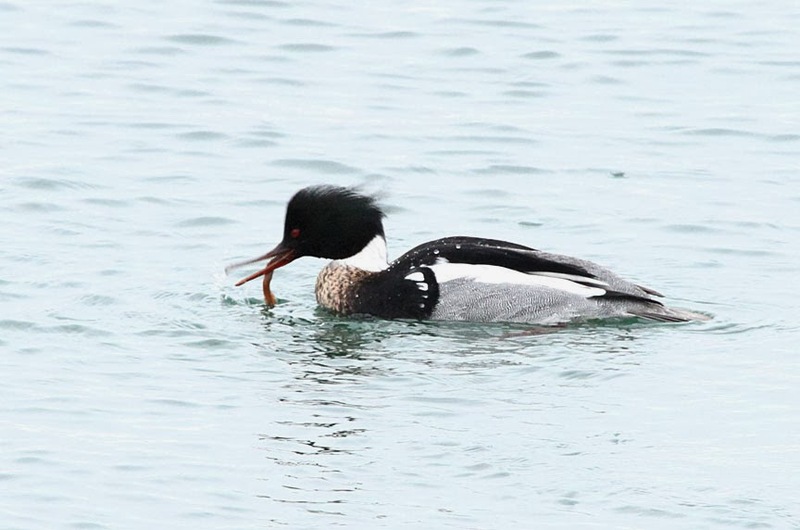 A red-breasted merganser was finding food! 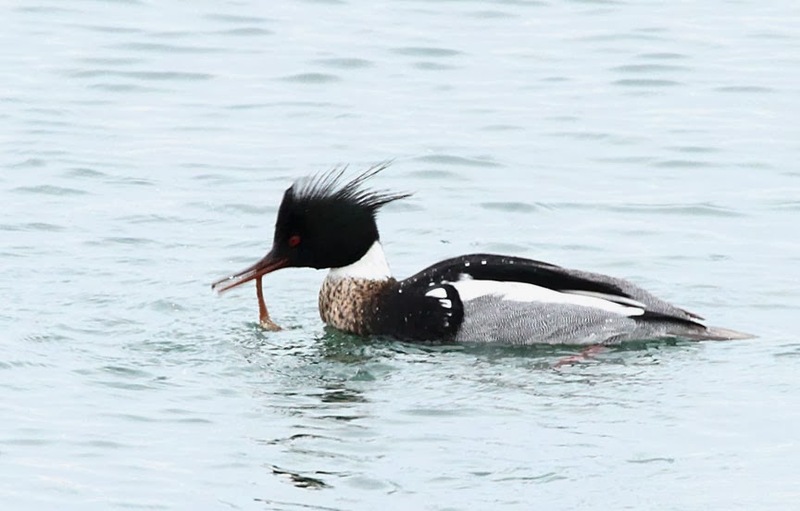 Is he having a "bad hair" day? No, they always look this way, it's a good field mark! Wonderful pictures. Always amazed that these creatures can survive and thrive in horrible freezing cold air, water and land. thanks!! they are truly amazing!! I Love watching the Ocean Birds! I love feeding the gulls, bread, out of my hand! I miss that! Whether it be one gull or a dozen of them! I just keep feeding! Will have to go visit one day, hopefully soon! 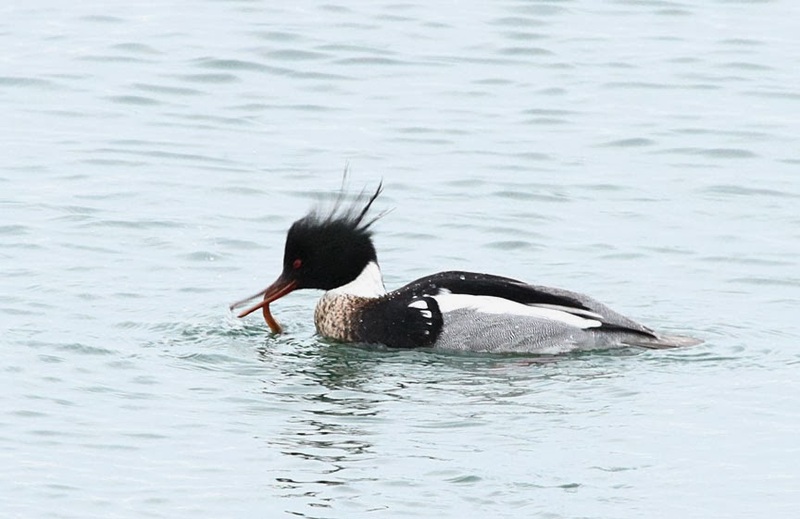 And I love to watch those birds that go underwater and show up in a different spot. I don't know what the name of them are. They are black and have sort a long neck! I miss the Ocean! It's a world of it's own! I could stay there all day! Listen to the waves and look for Sand Dollars and look for shells! While I'm there, I try to forget the world behind me, even for just a little while! I Love it there! Thank you for sharing Gerry and JoAnn! It's very nice checking out your blogs! I love our feathered friends! :-) keep up the good work! And I'll see you next time!